弟の夫 My Brother’s Husband, chapter 1. This is my first serialized manga on a general manga magazine. 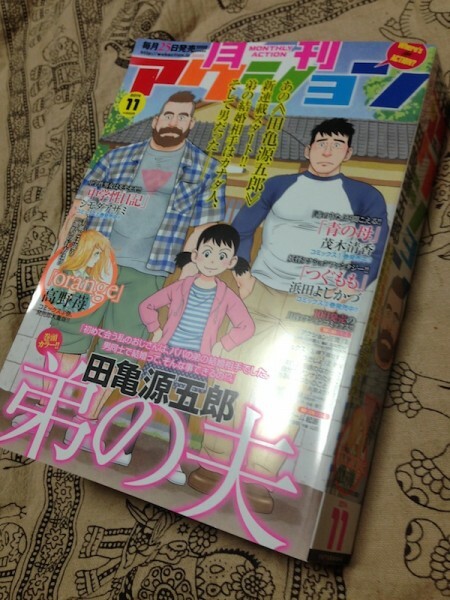 So there is no adult materials but the story includes gay issues (you know it by the title of the story and pink triangle T-shirt on the cover illustration). It is a complete new challenge for me to draw manga handling gay issues on modern days for mainly straight readers. Of course I wish that it will be interesting for gay readers too! 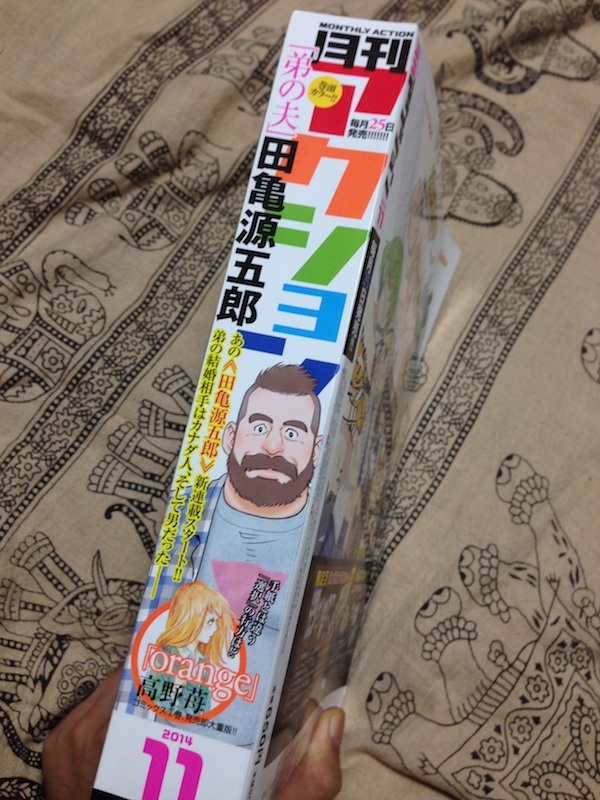 If you are in Japan, let’s go to a book store and look for the cover above, or the spine below with a bearish face as a sign (BTW, his name is Mike). And there is a reader’s present on the magazine. 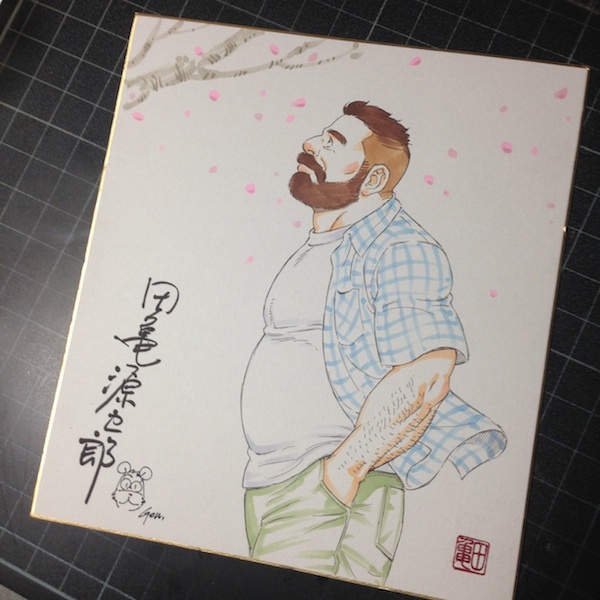 One winner will be able to get my original colored drawing with signature on Shikishi paper board. 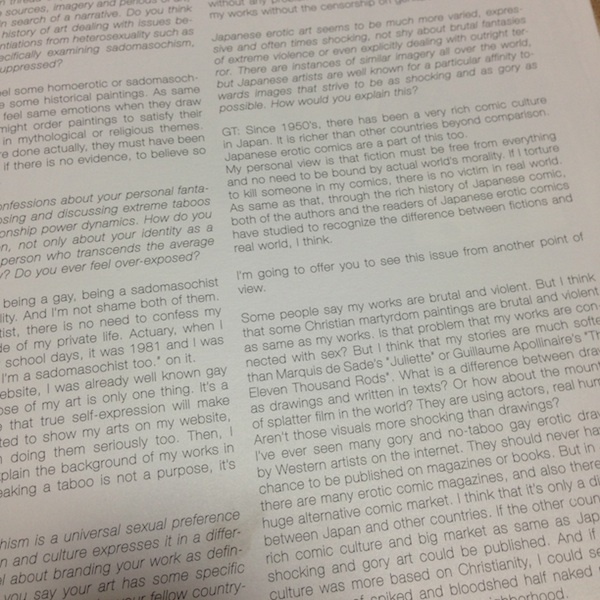 I’m sorry that to apply it must be very hard for non-Japanese speakers, so up the photo of it. 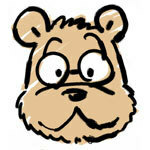 My interview and several drawings are featured on the magazine, NakedButSafe #7. 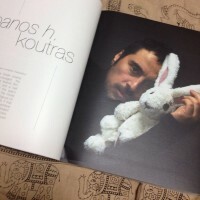 It is Greek photography based fashion and art magazine, and is available worldwide. 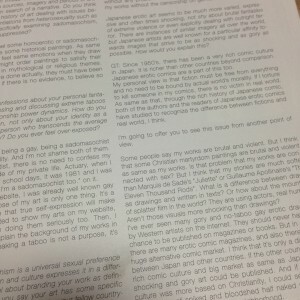 The article is total 12 pages, and I think that the interview is good and is well worth reading. 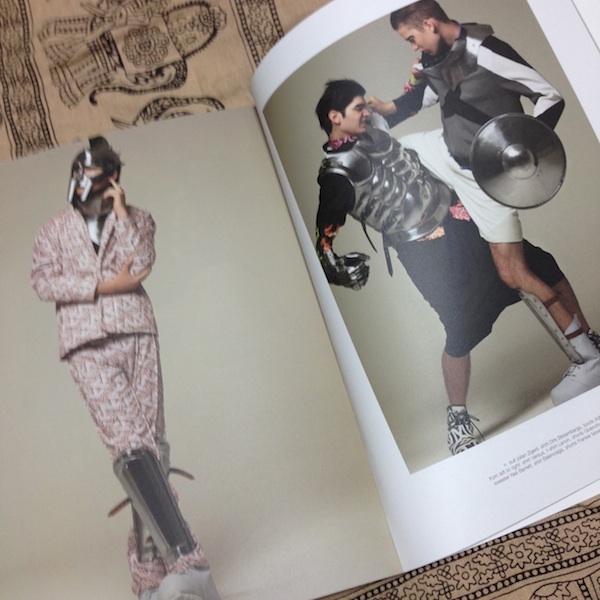 The magazine itself is very beautiful and cool too. If you are good in English, please get your copy from their website!